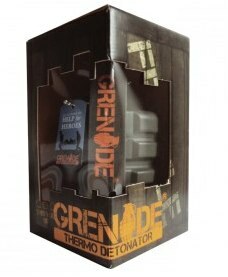 Grenade Thermo Detonator has surrounded itself with the ‘big brand’ concept and employs the use of marketing events to further highlight its reputation. Its reputation does appear to self proclaimed in part – it has been voted the best slimming pill of 2011 and 2012 and even taken the 2013 award Europe-wide. Without wishing to call into question the awards its difficult to find exactly who has given them and who the other products were that they have fought off to claim the prestige. 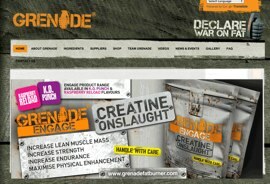 Marketing aside we take a look at the Grenade fat burner and see if it is worthy a purchase let alone an award. Inside every capsule you will find: Green Tea, Green Coffee, Cayenne Pepper, Bitter Orange Extract (synephrine, octopamine, N-methyltyramine, tyramine, hordenine), Greapefruit seed, Evodiamine (evodia fructus extract), Cocoa Bean extract, Yohimbe bark, Caffeine Anhydrous (1,3,7-trimethylxanthine), Raspberry Ketone, Phenylalanine (2-amino-3-phenylpropanoic acid), Yerba Mate, B-phenethylamine HCl, MAE (dimethylaminoethanol) and Coleus Forskohlii (forskolin). The additional filler ingredients are: Magnesium Stearate, Gelatin Capsule, (Purified Water, Colours: E133, E102 & E129), Titanium Dioxide. It seems that the manufacturers do not pass up the opportunity to get their product in front of the media – and why not, after all this is a commercial slimming pill. Grenade is a very striking brand and has been criticised for associating with something of an explosive nature shall we say. The critics are a tad harsh as there is nothing so different between this and Jodie Marsh’s Semtex which has a more destructive connotation. Well all is said and done there are most likely several manufacturers that are envious of the style and media hype that follows Thermo detonator. Despite is aggressive sounding name there are no reports of side effects of any great importance. There is a balance of natural and not so natural ingredients and so maybe the former neutralises the latter. Take away the product packaging, the brand and the media roadshow and you are left with something quite ordinary. Certainly not something we recommend. Sold in many outlets across the world. Holland and Barett are major stockists as far as the UK is concerned. Can also be ordered direct from the official website. There are several products that we could recommend over and above the Grenade fat burner range. From a natural perspective Garcinia Cambogia and raspberry ketone is proving to be extremely popular in both the UK and the world over. 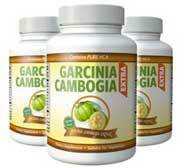 Garcinia Extra contains both ingredients in the correct quantities. Garcinia Cambogia is arguably the most in demand ingredient with raspberry ketone not far behind.